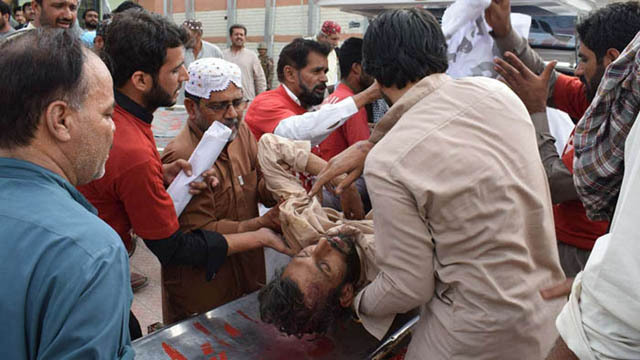 Islamabad, July 13 (Just Nws) : The death toll in a suicide bombing in southwestern Pakistan Friday jumped to 89, an official said, the deadliest in a string of attacks on political rallies that have raised security fears ahead of nationwide polls on 25 July. The blast in the town of Mastung, near the Balochistan provincial capital Quetta, came hours after another bomb killed at least four people at a campaign rally in Bannu in the country's northwest. The attacks underscored the fragility of Pakistan's dramatic improvement in security and raised fears ahead of the vote. 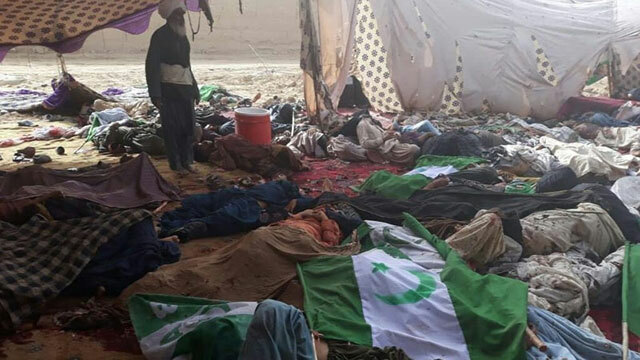 "Death toll has risen to 89," Balochistan health minister Faiz Kakar told AFP, adding that were more than 100 wounded. Earlier he had said 70 people were killed. 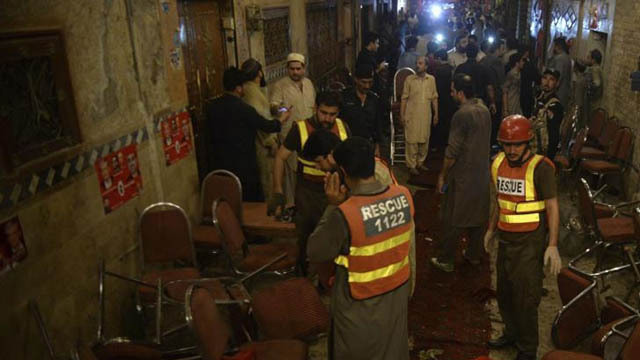 According to senior provincial official Saeed Jamali, the bomber detonated in the middle of a compound where a political meeting was taking place. Another senior official, Qaim Lashari, also confirmed it had been a suicide blast. The explosion killed Siraj Raisani, who was running for a provincial seat with the newly formed Balochistan Awami Party (BAP), provincial home minister Agha Umar Bungalzai told AFP. Mir Siraj Raisani succumbed to wounds while he was being shifted to Quetta, he added. Raisani was the younger brother of former provincial chief minister Mir Aslam Raisani. The explosion comes hours after four people were killed and 39 injured when a bomb hidden inside a motorcycle detonated near a Pakistani politician's convoy in Bannu on Friday, near the Afghan border. The earlier bomb was targeting the convoy of the Muttahida Majlis-e-Amal (MMA) candidate Akram Khan Durrani, who survived the attack, police said. No group has yet claimed responsibility. On Tuesday, a bomb claimed by the Pakistani Taliban targeted a rally by the Awami National Party (ANP) in the city of Peshawar. Local ANP leader Haroon Bilour was among the 22 killed. Thousands flocked to his funeral the next day.